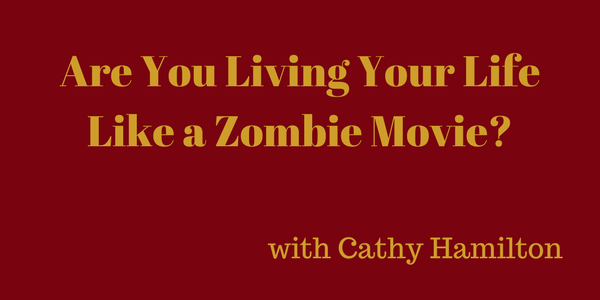 Are You Living Your Life Like a Zombie Movie? Do you often find yourself going through life like a zombie? As women, we tend to focus all of our time and effort on making sure that everybody else has what they need. We go to work, come home to cook and clean, get the kids ready for school and repeat the same process day after day, rarely taking time to care for ourselves. Join us today as Cathy Hamilton, founder of happytappygirl.com, shares her incredible story of overcoming several obstacles and discovering how to live a Divine Inspired Vibrant Alive Life!